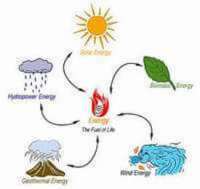 The first day of fall is already upon us and you're likely enjoying the last days of the summer weather, or possibly you are using this time of year to slowly prepare your houseboat for the winter storage season. In regards to the site, we are just inches away from hitting the 5,000 mark of members who have joined the Houseboat Insider, and the site has passed the 1,000 page mark of boating articles, tips, and reviews. As always, we are grateful and appreciative of your continued support, and look forward to taking another step together on the growth ladder. The Highlights and What's New this Month. Houseboating has a different meaning for everyone, and it's great to see and read about it, especially through the eyes and from another boaters perspective. Here are some of this months favorite articles. 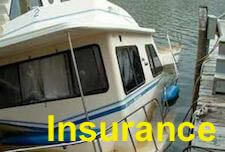 * Insurance Tips for comparing houseboat insurance rates, by Bob. * Gibson houseboats, what model to get, and where to buy one? 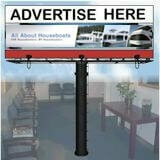 * How to work and earn from your houseboat office? by Ian & Manon. 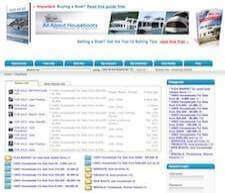 * Any houseboats for sale, or for rent in Florida? by John & Joanne. Working from the Boat - view from our small houseboat office is incredible. New Houseboats For Sale - the tubiQ house boat sets the new standard. When it comes to new houseboats for sale, the tubiQ sets the new standard of life on water, and definitely a vibrant futuristic house-boat design. Pontoon Houseboat Maintenance - how often to coal tar epoxy the pontoons? Any Florida Keys houseboats for sale, or for rent? 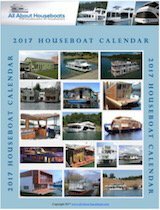 Plenty of Gibson Houseboat For Sale here, pick which models of Gibsons houseboat models that's right for you! Living the Houseboat Dream Lifestyle - live and enjoy life on houseboats. Houseboat Hammocks - swing on a hammock, relaxing on house boats. Custom Houseboat Graphics - vinyl numbers, names, logos, and decals. 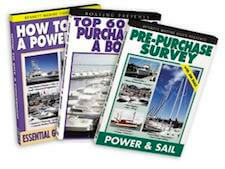 Houseboat Docking 101 - how to drive & dock house boats with outboards, inboards, sterndrives. Houseboat Traffic - responsible for swamping waves, and dangerous driving maneuvers?